InvestAmerica Capital Advisors, LLC (“InvestAmerica”,) offers a full suite of consulting and support services to U.S. companies and developers seeking to raise capital through the U.S. Immigrant Investor Visa Pilot Program (“EB-5 Capital”). InvestAmerica’s President and CEO, Mike Xenick, is registered with Sequence Financial Specialists, LLC (“Sequence”) to conduct a variety of securities transactions, including EB-5 private placements. InvestAmerica’s initial focus for EB-5 projects is on comprehensive up front due diligence, working with an experienced EB-5 team of professionals to prepare a quality offering package in compliance with U.S. securities laws via roadshows in the U.S. and overseas. InvestAmerica also has access to a deep contact base of U.S. based institutional lenders and investors in order to complement EB-5 capital and fill the entire capital structure of a transaction. InvestAmerica looks to represent clients within the Real Estate, Manufacturing, Infrastructure, Hospitality, and Restaurant Franchise industries. We feel confident within our experience and knowledge within these industries to successfully advise and direct companies on their strategic capital raising, structure, and growth financing needs. InvestAmerica has a rapidly growing, global proprietary referral network established through relationships with key players in the EB-5 space. These sources include international CPAs and CFAs, real estate agents, private bankers, investment advisors, consultants, tax attorneys, and immigration attorneys located in the U.S. and in dozens of other countries. InvestAmerica also has proprietary relationships with various Registered Representatives and Foreign Finders (“EB-5 Agents”) who are approved by Sequence. 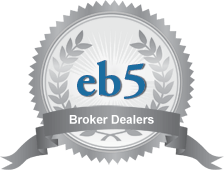 These EB-5 Agents have access to prospective EB-5 investors in locations such as Brazil and other countries in South America, the Middle East, Africa, India, UK, Europe, Russia and China, to name a few. The current principals of InvestAmerica started in the EB-5 field in 2010 in a previous company, at first to explore the opportunity and understand if and how to develop a business line around the EB-5 Program within a traditional boutique investment bank. After an extensive educational process; meeting many of the owners of key EB-5 Regional Centers, immigration attorneys, securities attorneys, consultants, EB-5 vendors, and other key people; and speaking on multiple EB-5 panels at conferences, the principals created a full suite of investment banking services, unique to EB-5 project owners and Regional Centers. In 2012, the EB-5 division of our previous company was transitioned into InvestAmerica Capital Advisors, LLC.